The Amber single malt scotch whisky has a floral, citrus sweet nose that gains presence, commaning a chorus of vanilla notes over freshly harvested grain. Raisin, sultana and cinnamon look on as toffee apples and candy floss step into the limelight. 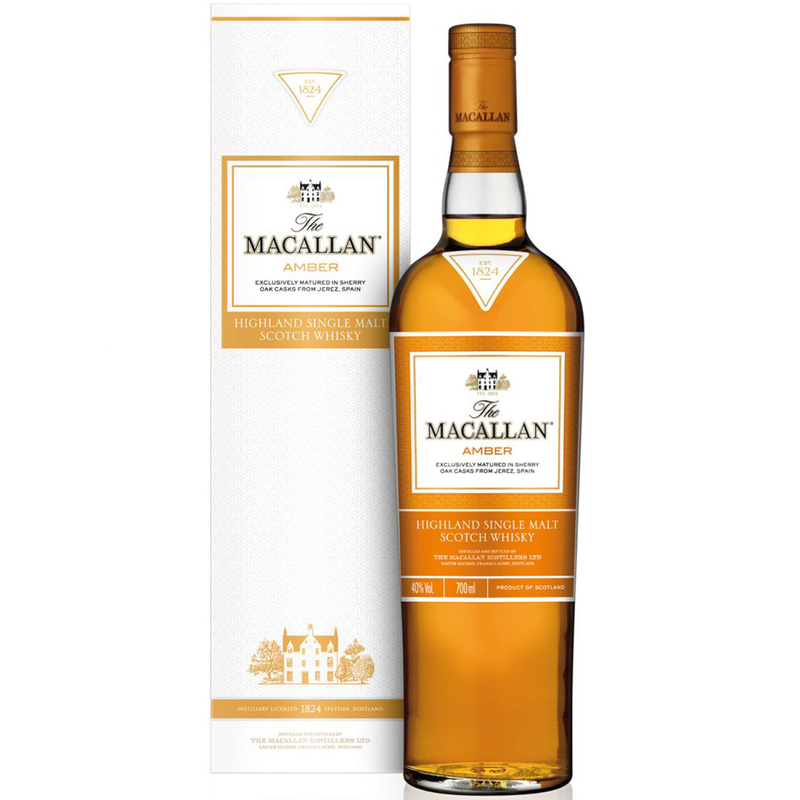 In 1824 Alexander Reid, a Scottish farmer, obtained one of the earliest licences to distill whisky and leased 8 acres of land to establish the Macallan distillery. The 1824 series are the latest releases and have a gentle sherry oak influence.